The new total reflects extraordinary demand for what has become known as the magazine's "survivors issue." It was produced in the days immediately following a terrorist attack at the magazine's office in Paris. The attackers were apparently motivated by the magazine's criticisms of Islam and depictions of the Prophet Mohammed. The cover of the new issue has a cartoon of the prophet holding up a sign that reads "I Am Charlie" in French. Customers at newsstands continue to seek copies of the issue -- not just in France, where there were long lines observed earlier this week, but also in Germany, where the magazine went on sale on Saturday. "We could have ordered 500 copies -- they would have sold out," a vendor at the main train station in Stuttgart told DPA, Germany's main news agency. 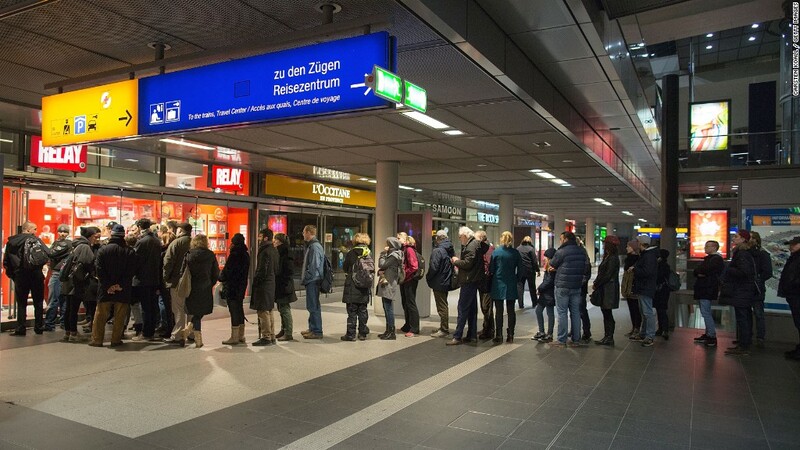 Customers in Germany lined up on Saturday to buy the new edition of Charlie Hebdo. The magazine's French distributor, MLP, has been trying -- mostly unsuccessfully -- to keep pace with demand. Roughly one million copies each were distributed on Wednesday, Thursday and Friday. Technical problems limited the number of copies available in France over the weekend, so it'll take several days to reach the 5 million mark. On Saturday, MLP boosted the planned total to 7 million. The French newspaper Le Figaro called it "a record in the history of the French press." Michel Salion, a spokesman for MLP, told CNN it is "too early" to say how much money has been made through the sales. A small number of copies began to reach the United States on Friday, and more are expected to go on sale in the coming days. To put the 7 million figure in perspective, only a small number of U.S. magazines print that many copies -- AARP The Magazine, Better Homes and Gardens, and Game Informer Magazine. "Nothing in the United States compares to the Charlie Hebdo print run," said Sid Holt, chief executive of the American Society of Magazine Editors. He said Charlie Hebdo's past 60,000 circulation "is small even by French standards. Paris Match, by comparison, has a circulation of 600,000." "But the equivalent of going from 60,000 to 6 million would be as if a magazine in the United States sold 30 million copies -- 30 times what People sells on the newsstand every week," Hold said. In Karachi, Pakistan on Friday, one protest turned violent, and a photographer working for the Paris-based news agency was injured by gunfire. In Niger, a number of churches were set on fire and several people were killed. The French embassy in Niamey advised its citizens to be vigilant and avoid going outdoors. Publishers in some parts of the world have declined to reprint the cover. A new issue of The Economist magazine includes a small picture of the cover, but it's just a blank spot in the edition printed in Singapore. The Economist included a note explaining the missing content to readers, and referred them to a web page where they could see the cover. A wide array of other news outlets, including CNN, have opted not to show the cover. Meanwhile, the surviving editors of the magazine have said little about their plans for future issues, but they have vowed to keep publishing. 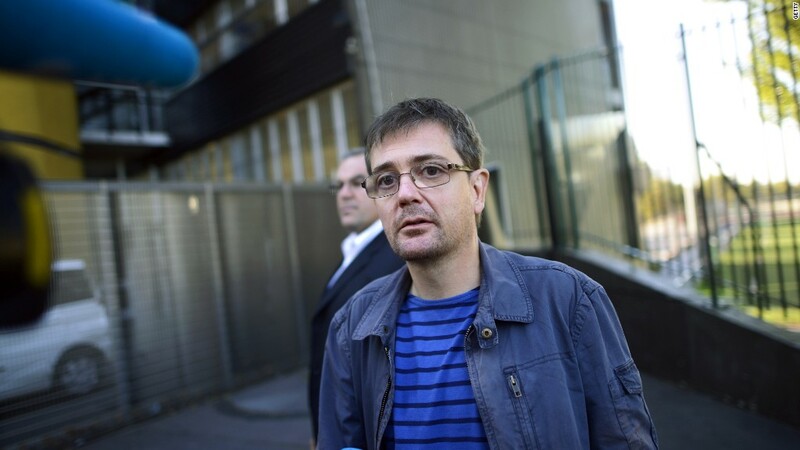 Laurent Joffrin, the editor of the French paper Liberation, said the staffers could continue to borrow its office space -- "As long as they want to stay, they can stay, there's no problem." Joffrin told CNN, "They have many new friends and new subscribers, and they have money, investment, so they can go on."